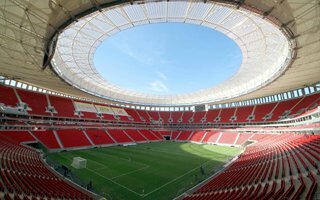 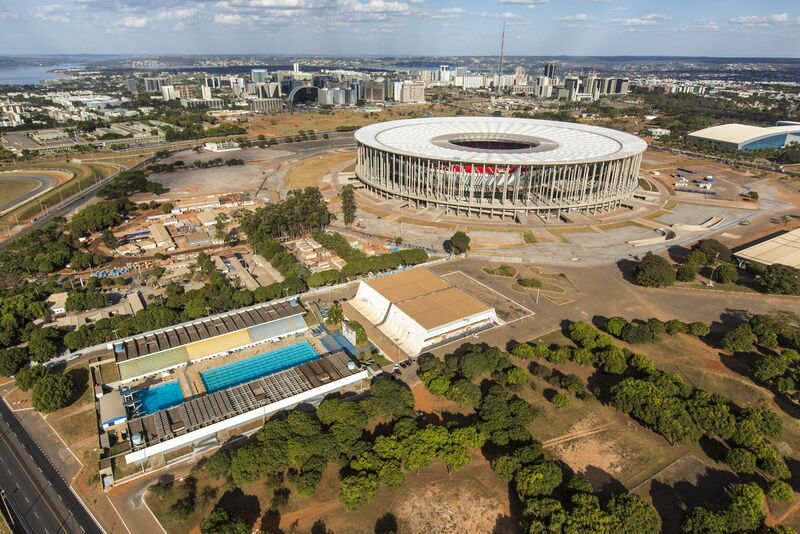 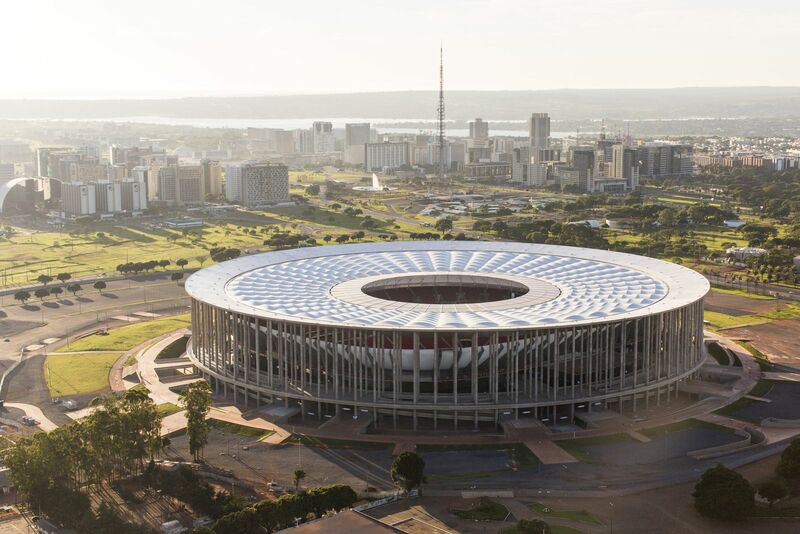 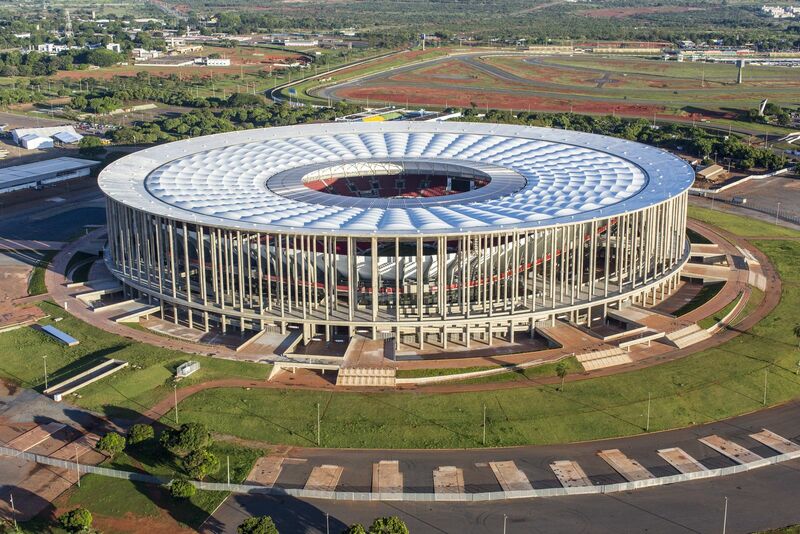 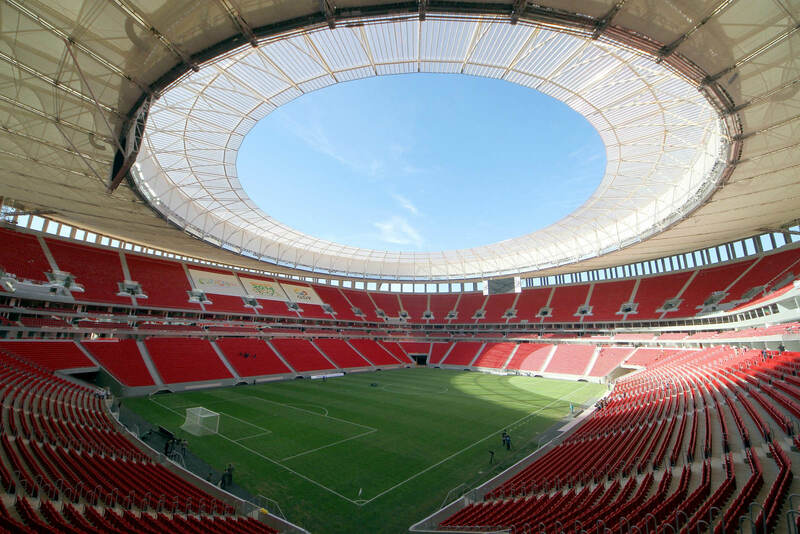 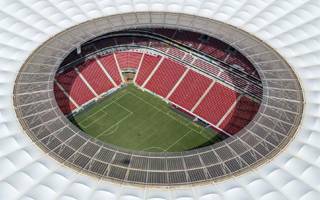 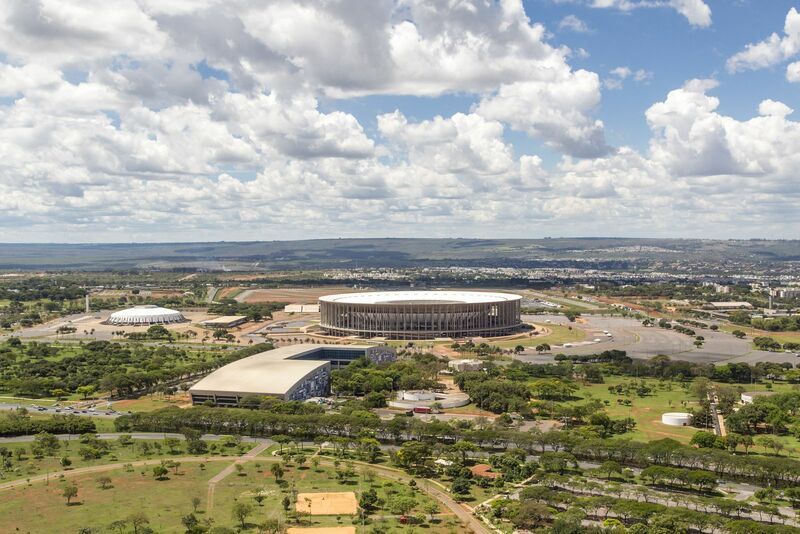 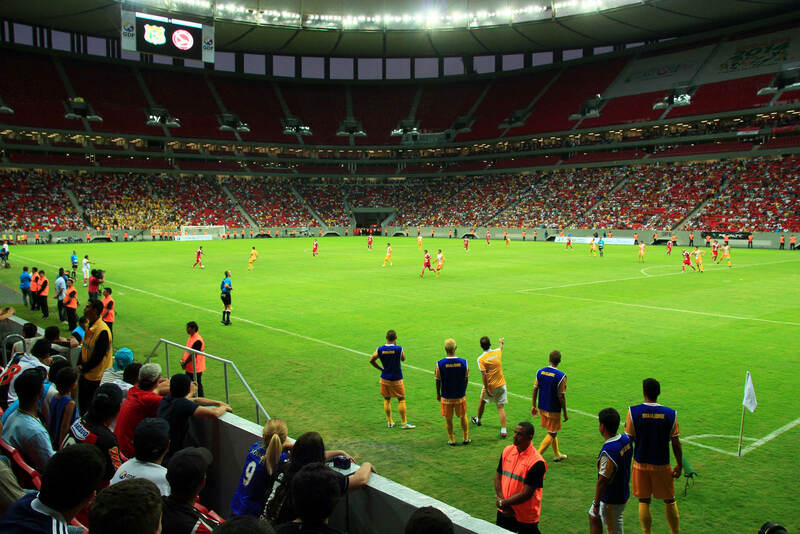 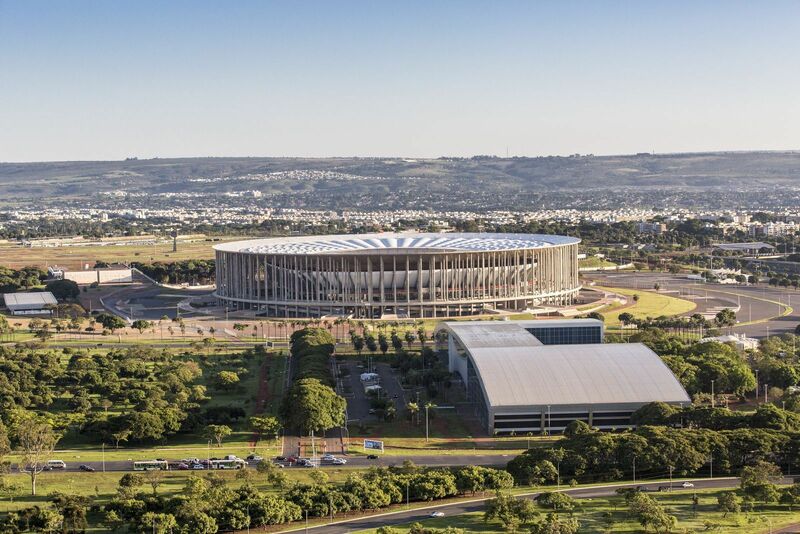 Completely new national stadium was planned at the heart of Brasilia, replacing the dated Mane Garrincha Stadium. 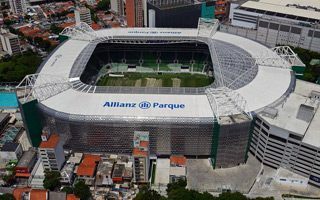 Initial plans saw the old stadium’s main grandstand reused in the new seating bowl, but eventually nothing was left of the predecessor. 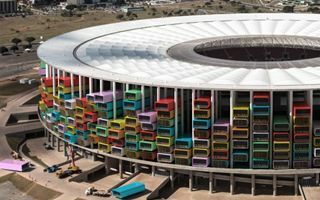 Interestingly, authors of the design include son and grandson of the previous stadium’s creator, making this place ‘run in the family’ of Castro Mello architects. 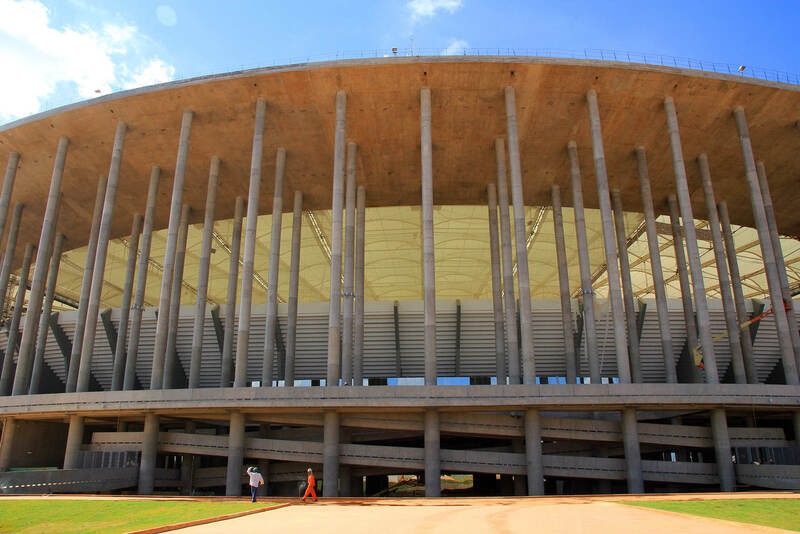 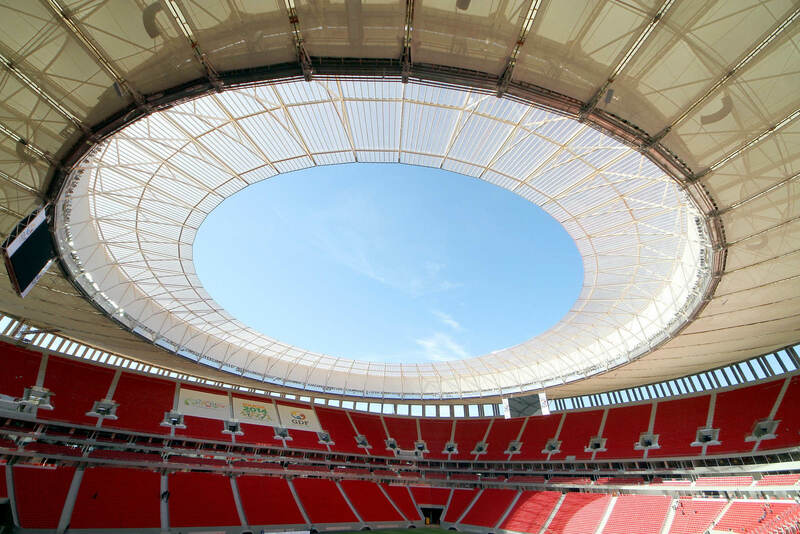 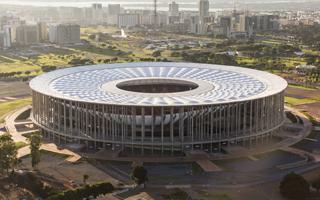 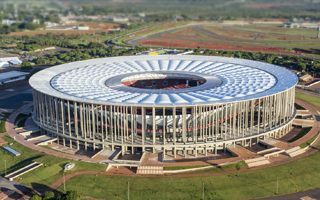 The design sees a raw stadium without much decoration, simple and monumental like Brasilia itself. 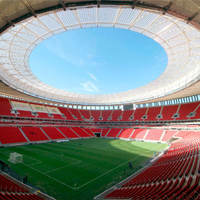 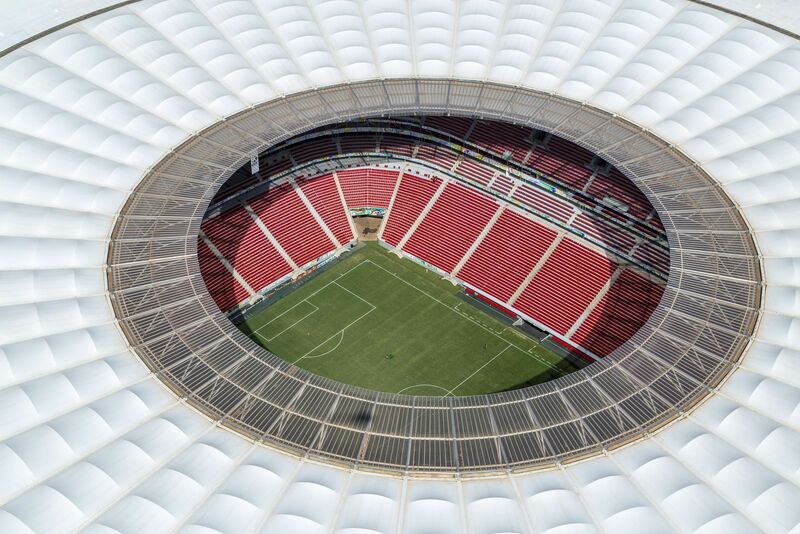 Though football-specific and rectangular inside, its outer form is circular without any cladding, but a forest of slender roof supports creating an open-air feeling. 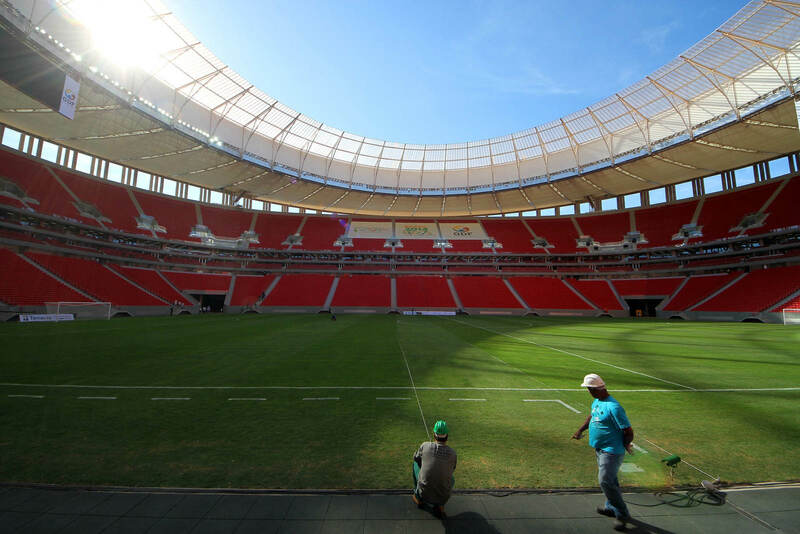 Construction was launched in May 2010 and ended with a slight delay in mid-2013. 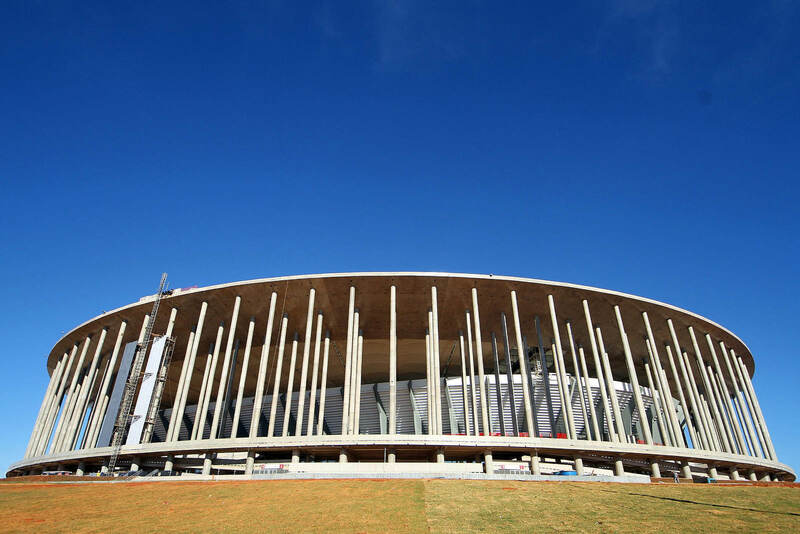 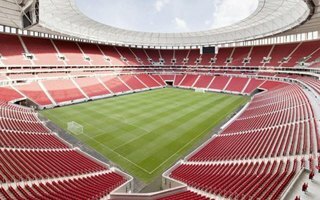 Though delivered well before the 2014 World Cup, the stadium was feared not to be ready in time for the Confederations Cup in 2013. 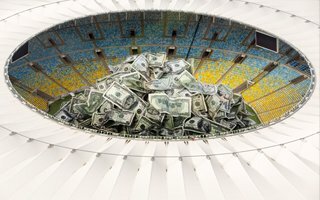 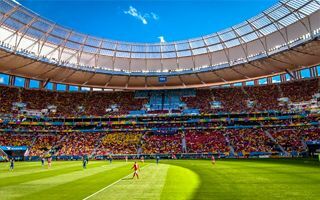 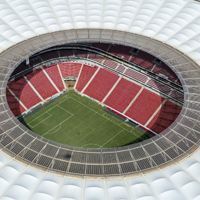 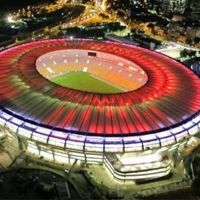 In the end it hosted the tournament without major problems, however large protests were seen around the stadium as it was the most expensive project for the FIFA tournament. 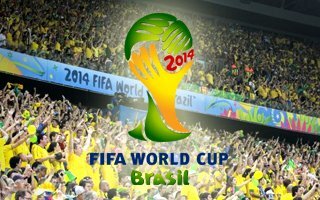 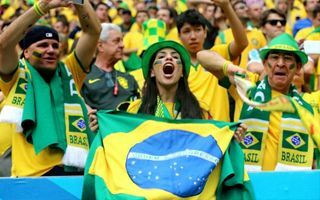 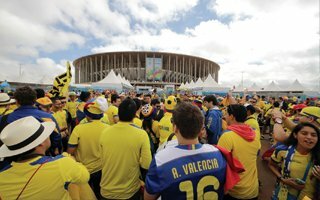 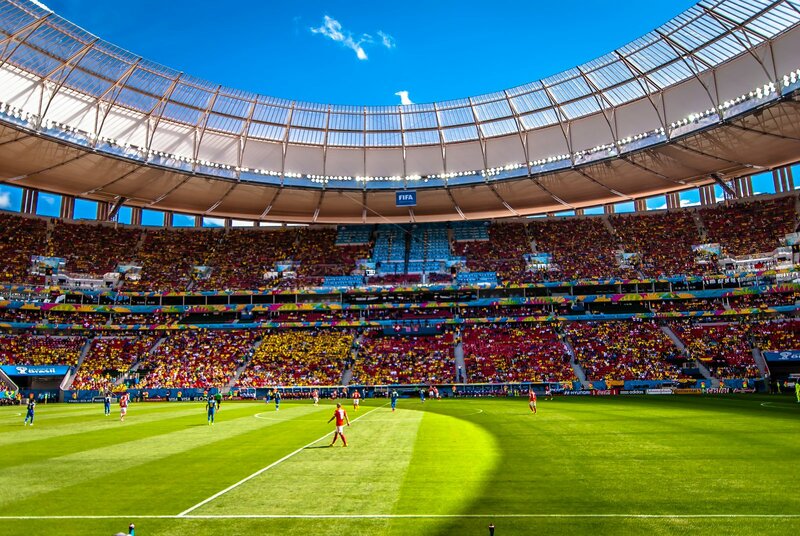 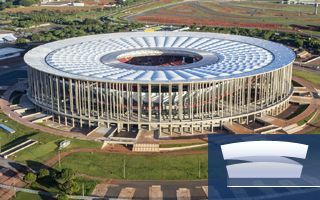 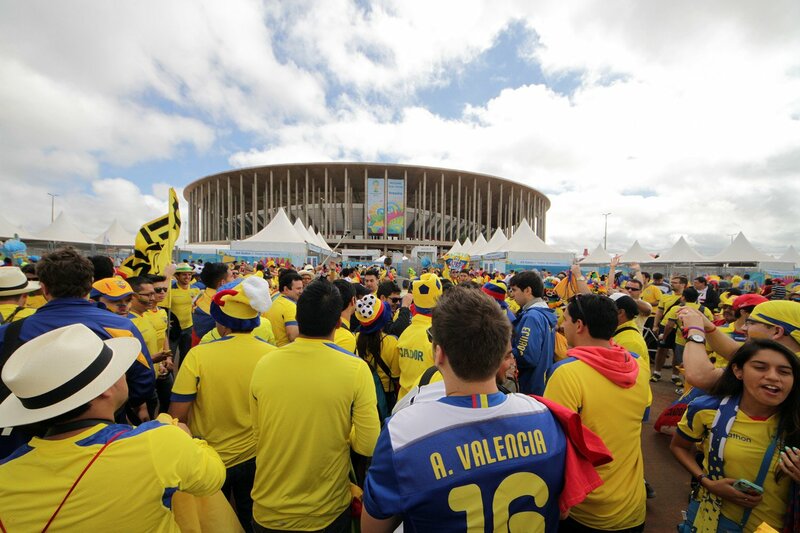 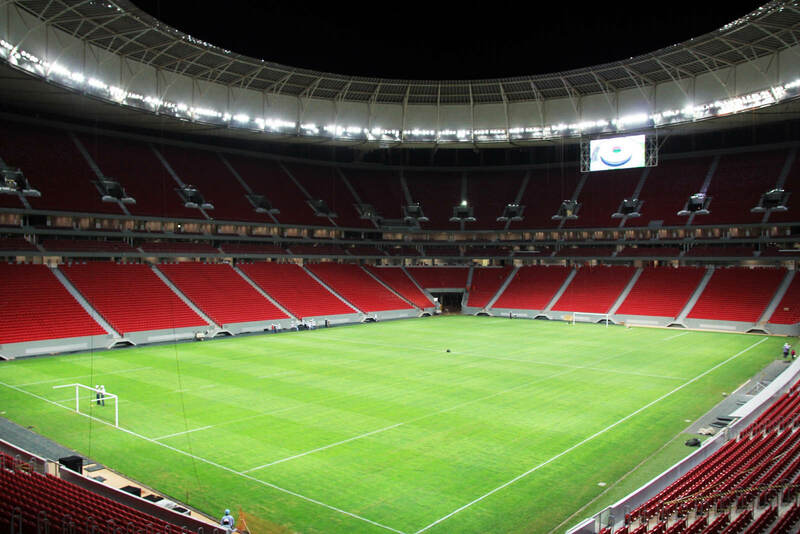 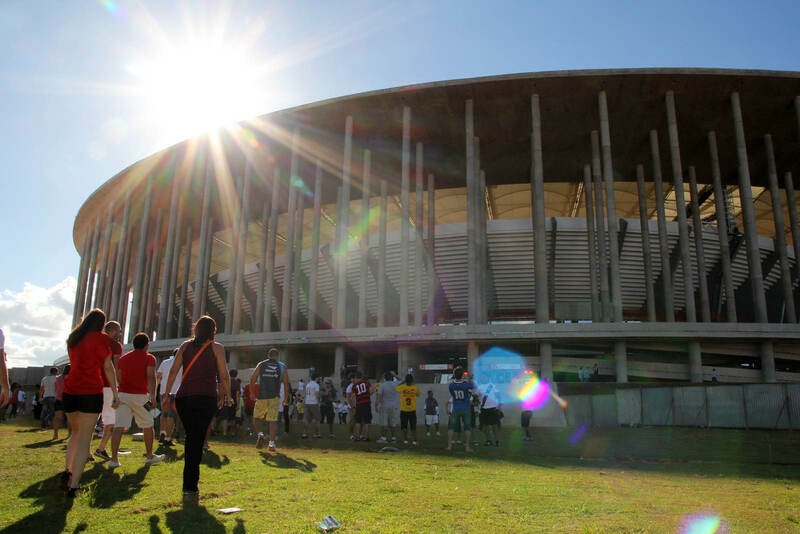 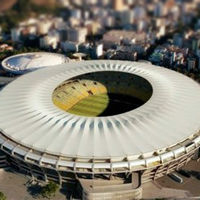 With its special role to Brazil, the stadium was selected to hold seven games, including quarterfinal and the third place game. 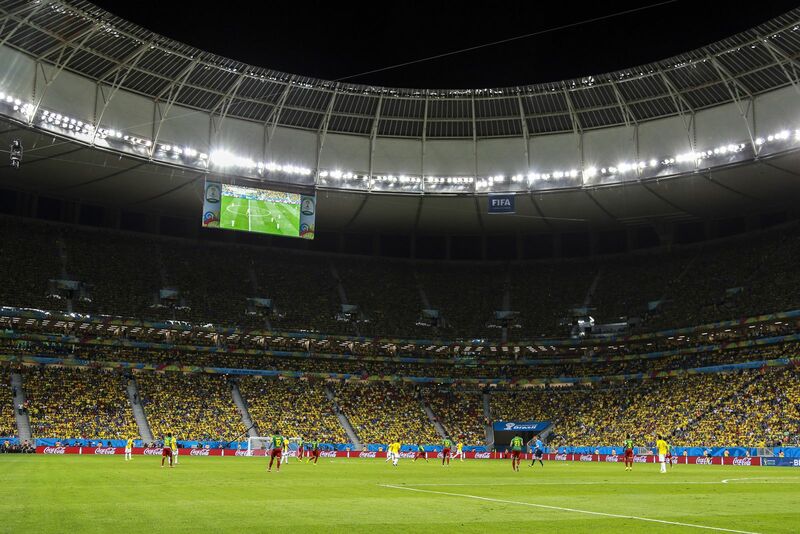 Controversy surrounded FIFA’s decision to cut the ‘Mane Garrincha’ tribute out of the stadium’s name. 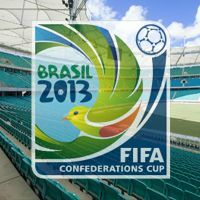 The football body claimed it was naming rights-alike.